The pros of adding seeds to your horse’s diet. 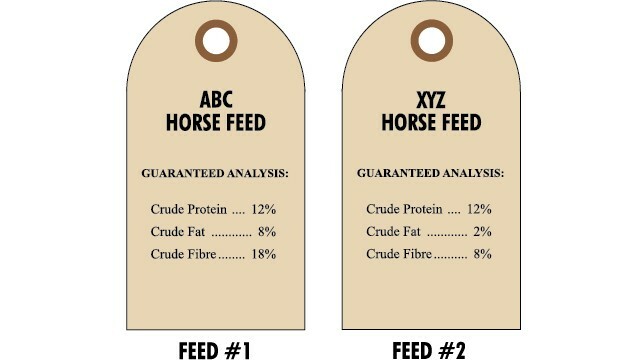 Grains such as oats, barley and corn have historically made up the bulk of equine diets beyond forage. More recently, however, horse owners are introducing seeds into their horse’s diets, including flax (linseed), chia, sunflower, and even hemp seeds. In general these seeds are not fed in very large quantities, but they can contribute to the nutritional content of the diet. Flax seeds can be fed to horses whole, as oil, or as meal, and all have different nutritional benefits. Flaxseeds are known as an oilseed, because they do contain significant amounts of oil (~ about 42% of flax seeds are fat). The whole seed also contains about 18% protein. The oil present in these seeds is relatively high in omega-3 fatty acids, which have anti-inflammatory properties. A 100-gram serving provides almost 23 grams of alpha linolenic acid and important omega-3 fatty acid. However, the most efficacious omega-3 fatty acids are docosahexaenoic acid/DHA and eicosapentaenoic acid/ EPA, which are found in fish oil. Linolenic acid can be converted to DHA and EPA omega-3s, but not with very high efficiency. Therefore, while linseeds are a good source of omega-3 fatty acids, they are not a good source of the “best” omega-3s. Flax seeds also contain good amounts of fibre and several vitamins and minerals, namely vitamin B1, phosphorus, copper and magnesium. Flax seeds are rather small and may not be chewed adequately to break open the husk to give access to the nutrients inside, therefore horse owners should grind their flax seeds prior to feeding. Flax seed meal is essentially pre-ground flax, although some oil may have been extracted from it prior to packaging, so check the label to make sure it still has lots of fat. Another option to grinding is cooking by adding water and heating in a microwave. This removes the waxy coat and fibre on the seed and the finished product is almost gelatinous and apparently highly palatable. If a horse owner is simply hoping for some benefits from the omega-3 oils, flax seed oil (100% oil, but no protein or other nutrients) can also be purchased and fed to horses. Chia seeds are also becoming popular among horse owners. These little seeds contain 16.5% protein and 30.7% fat. A 100-gram serving provides 17.8 grams of linolenic acid. Chia seeds also contain small amounts of calcium and selenium. These seeds are also very small and should be ground prior to feeding. Sunflower seeds are a very common seed fed to horses, although not all sunflower seeds are alike. The biggest factor affecting nutrition from sunflower seeds is whether or not the hull is also fed. 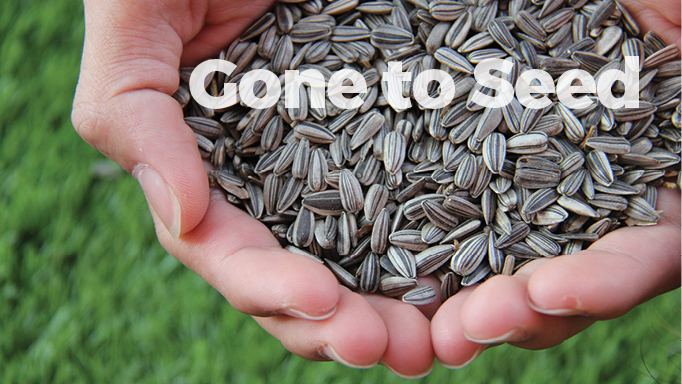 Plain sunflower seeds have about 40% fat and 15% protein and are low in the most important limiting amino acid, lysine. The fatty acid profile of sunflower seeds is not as desirable as some others, as it is higher in omega-6 fatty acids than omega-3 fatty acids. Equine diets are already relatively high in the omega-6 fatty acids, and typically we aim to increase the omega-3s for the best anti-inflammatory and immune benefits. If you feed regular sunflower seeds with the striped hull attached, you increase the amount of fibre, but these types are less tolerated by horses because the hull is tough. Black oil sunflower seeds (BOSS, the same black seeds that you might feed to birds) are fed with the hull sometimes ground for horses, although they are relatively thin and horses can chew them well. BOSS have about 25% fibre, 15% protein and 28% fat, and are high in vitamin E. They are very popular for horses, with reports of improvements in coat quality. Hemp seeds are the byproduct of the hemp industry and are becoming more popular for horses and humans. Hemp seeds are very high in protein (~35% and contain all of the required amino acids) and fat (about 42%). Hemp has lower omega-3 than chia and flax seeds, but more than sunflower seeds. Hemp oil is also a good vegetable oil alternative. So, which should you select for your horse? It depends on what you are hoping to do. Flax seeds probably win in terms of palatability and omega-3 content, with chia seeds being a close second. Hemp has interesting promise in terms of protein content, particularly if you compare it to the go-to protein supplement soybean meal at 44% protein. However, no research has been conducted on feeding hemp seeds to horses. When feeding any kind of high oil seed, one should be careful about rancidity. This is particularly important if feeding ground seeds, as they should be fed soon after grinding before they go rancid. 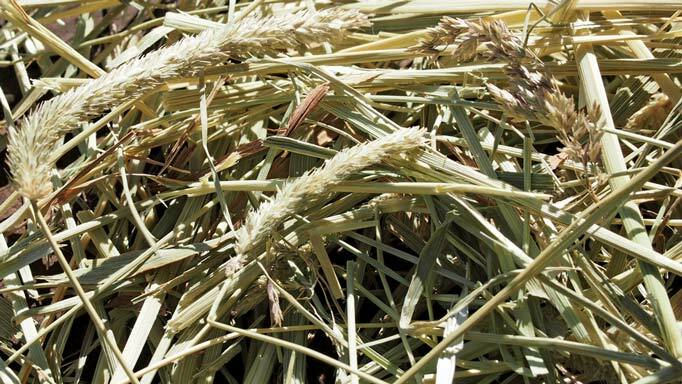 If you purchase pre-ground seed meal it has likely been treated to prevent rancidity. Antioxidants such as vitamin E should be increased in the diet to counteract any potential negative effects of feeding spoiled oilseeds. 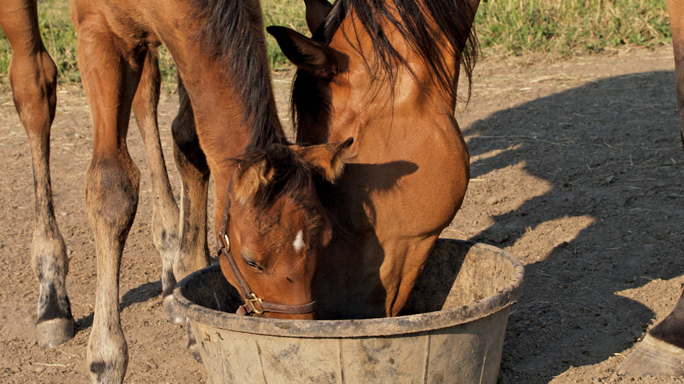 Of course, this might not be needed if you select to feed the BOSS, which are already a good source of vitamin E.
Equine nutritionist, Shannon Pratt-Phillips, Ph.D., provides feeding strategies for every horse. 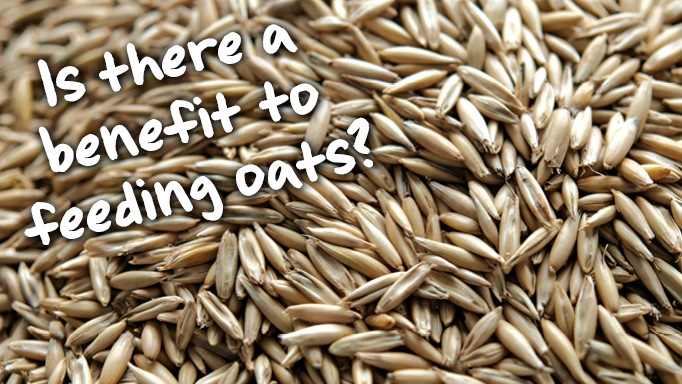 Is There any Benefit to Feeding Oats?